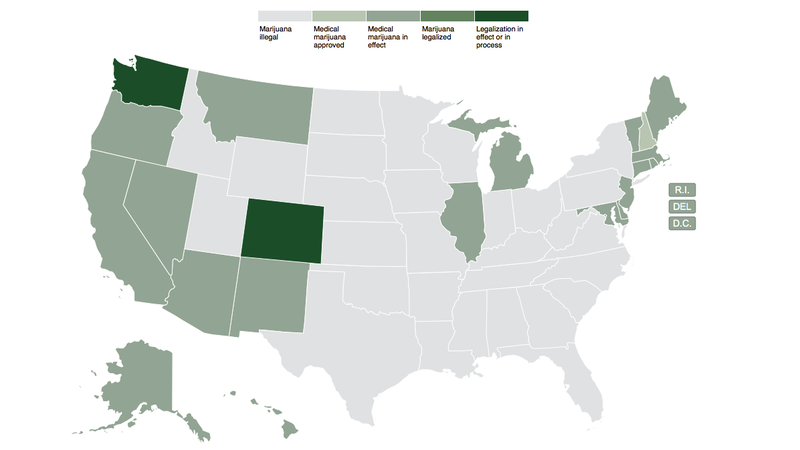 There's a "high" probability that, this year, 2 of the light-green states on the preceding map (Oregon and Alaska) will turn dark green as state legislatures in the Beaver State and The Last Frontier approve possession of cannabis for recreational use. 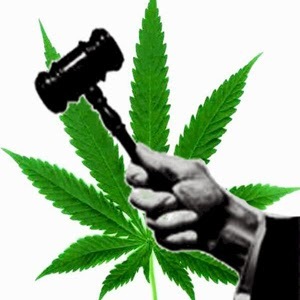 Outright legalization in 2014 is also a possibility in Maine, Vermont, New Hampshire, Rhode Island and Massachusetts. Additionally, 6 states (Kentucky, Ohio, Minnesota, Pennsylvania, New York, and Tennessee) will consider bills this year to legalize medical marijuana. And get this: this year, even Alabama will consider a bill to decriminalize! It's possible that, by year's end, more than half of the states will have either legalized or decriminalized marijuana. As "purple" and "red" states start to embrace legalization or decriminalization, the building momentum will become unstoppable. At that point, Washington will have no choice to but to anger its Big Pharma financiers--who spend millions of dollars annually to lobby Uncle Sam to keep marijuana illegal--and consider legalization on a federal level. And that, my friends, will be a huge blow to crony capitalism and spell the beginning of the end of the disastrous War on Drugs. Yes, just like the beer drinkers. No. More. Like Colorado. They gotta pay for their liberties.